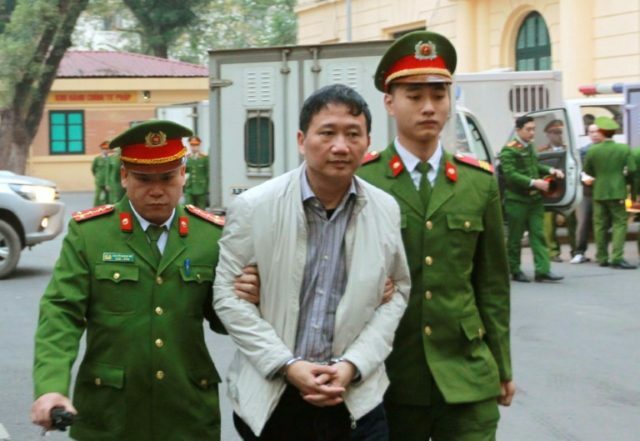 Hanoi (AFP) – A Vietnamese former state oil executive who was allegedly kidnapped from Germany was jailed for life on Monday for embezzlement, in the highest-profile corruption trial to target the communist country’s business and political elite. The case — also involving 21 other officials, including a former party politburo member — has captivated a country where the affairs of the powerful are normally kept secret and the downfall of senior politicians rarely happens in public. Vietnam has mirrored China in its massive corruption purge, but critics say the campaign is as much about targeting political foes as it is about tackling graft in one of Southeast Asia’s most corrupt nations. The life sentence for Trinh Xuan Thanh, the former head of PetroVietnam Construction (PVC), capped a dramatic two-week trial — closed to international media — that included a tearful apology from the 51-year-old. Thanh was sentenced to “14 years for mismanagement and life in prison for embezzlement”, according to state-run VNExpress news site. The jury said “no one at PVC dared use money for wrong purposes” without Thanh’s direction, the report said. 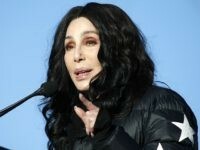 The embezzlement charges carry a maximum sentence of death but prosecutors recommended life instead. He faces a separate trial for embezzlement Wednesday that could see him put to death. Former politburo member Dinh La Thang, who once chaired the board of PetroVietnam, was sentenced to 13 years in prison, while the remaining defendants got punishments ranging between 22 years in jail and a 30-month suspended sentence. They are accused of causing $5.2 million in losses for the state during an investment by PetroVietnam into a thermal power plant. Public opinion on the prison terms remained divided on social media Monday, though some were swift to decry the punishments as too light. “These were sentences for street thieves,” wrote Facebook user Huan Pham after the verdict was announced. Thanh’s case has gripped the Vietnamese public since 2016 when he was spotted driving a flashy Lexus with government licence plates — prompting corruption rumours about the official, who swiftly fled to Germany. He was next heard of in August 2017 when German officials said he was plucked from a central Berlin park by Vietnamese security agents, in a Cold-War style episode that Germany described as a “scandalous violation” of its sovereignty. Hanoi has denied he was kidnapped, insisting he returned voluntarily to Vietnam, where he appeared on state television and confessed to his crimes in a broadcast that some suspect he may have been pressured into. Germany said after Monday’s verdict it was “too early to evaluate the trial” pending further proceedings this week and possible appeals, but “took note” of the fact that he was spared the death penalty, said foreign ministry spokeswoman Maria Adebahr. Thanh will return to court for a fresh trial on Wednesday on embezzlement charges after he was accused of pocketing $620,000 of state funds. The charges carry the death penalty. Thanh’s German lawyer, Petra Schlagenhauf — who was denied entry to Vietnam before the start of the trial — called on Berlin to keep pushing for his release and return to Germany, and said the trial did not conform with the rule of law. It was the highest-profile corruption case in the one-party state, which has long vowed to tackle graft but rarely targets senior officials. According to Transparency International, Vietnam ranks 113th out of 176 on its corruption perception index, worse than its Southeast Asian neighbours Thailand and the Philippines. Scores of bankers, former officials and businessmen have been jailed as part of Vietnam’s purge, including a senior banker sentenced to death for fraud last year. Critics say the corruption purge is fuelled by political infighting and is led by Communist Party chief Nguyen Phu Trong, characterised as a conservative hardliner. Observers say the campaign is similar to the anti-corruption purge in China, led by President Xi Jinping. “It’s a good way to keep political opponents on their toes,” Vietnam expert Jonathan London told AFP, adding it echoes Xi’s corruption purge of “real, perceived and potential opponents”. London said Thanh’s conviction may be the “most spectacular” but he expects the anti-graft drive to continue.